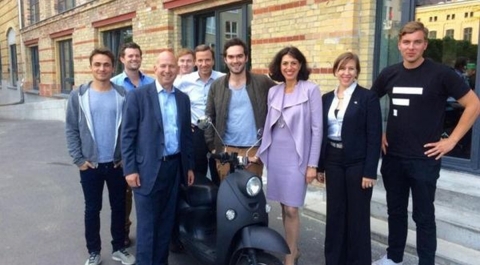 Delaware Governor Jack Markell in Germany visiting Factory Berlin, the premier business startup accelerator in Europe. Factory Berlin will open it’s U.S. campus in Delaware in 2016. The opportunity to exhibit as part of the SelectUSA Investment Pavilion was a major part of our decision to participate in Hannover Messe. Global Delaware takes a vital role in transforming the region’s economy and building a prosperous global center for innovation. To do this, we hope to connect with investors and business development professionals who are looking to expand into the U.S.
We would like to develop ongoing global relationships with our partners from all over the world and connect with new investors, who are looking to open new operations in the U.S.
For over a century, Delaware has been known as the leader in corporate governance around the world. Companies from all nations incorporate in Delaware to benefit from the State’s predictable body of law, innovative arbitration and fair and responsive judges and court system. In the past few decades, it is becoming apparent that Delaware is also a great place to open and operate a business as well. Global companies from China, Germany and other countries in Western Europe have chosen to open their U.S. branch offices in Delaware. Foreign investment accounts for over 12 million U.S. jobs. In Delaware, foreign investment is a key economic driver, and global business activity sets the small State apart from larger counterparts in the region.